Promotional products, brochures, literature, and kits can play a significant role supporting your business, but internal office storage space and management time is costly. 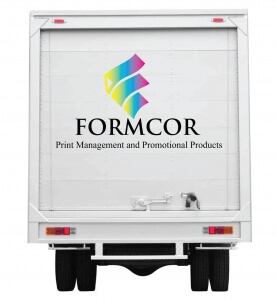 Formcor offers a reliable, cost-effective, and efficient alternative by managing all your promotional requirements for you with no up-front inventory costs or overhead. Let’s talk today about how we can help you create a fulfillment program that meets your needs. Contact Us or call us at 1-905-795-0500 for more details.